Robot Entertainment is doing their part for Extra Life this weekend with a stream on Twitch. Taking place on November 18th, starting at 4 pm Pacific, the stream will also be used to give players a look at a big new update. The update will introduce faster hero speeds, squishier minions, and bigger physics. All heroes have been re-balanced for Survival mode and new difficulty tiers have been added to maps. In addition, players will also be able to experience a new prologue campaign to get them started in the game. Since the stream is for charity, Robot Industries will be giving away special codes to viewers who donate more than $10 to Extra Life. More details on the event and the update are available on the Orcs Must Die! Unchained site. They fuked up beta testers with neverending wipes and not even give them anything, neverending ads to buy stuff for real cash, i not believe this game survive, i quit after these fukups, devs not listen and respect even that small community they had before. I watched a trailer. It looks something like blizzard would make in my opinion. I don’t care what haters say but it’s what I think from what I saw in the trailer on orcs must die site. I’d recommand trying out this game but if your already investing time into blizzards games then I’d say you should take a pass on it. But the donating of 10 dollars or more for the special codes is worth it. Also it helps the developers when you donate money to them so they can get the game updated faster and launched to full release. 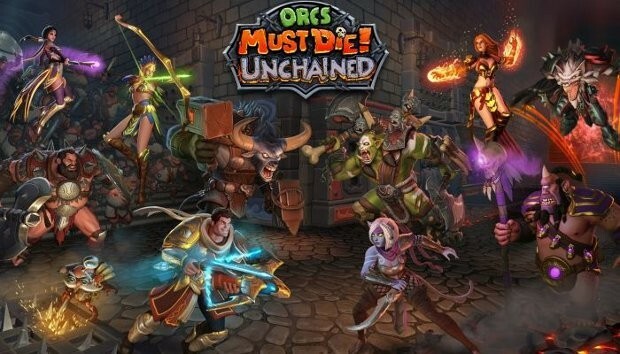 Some games that are well worth playing never make it to full release and personally I think orcs must die is worth making it to full release date but that’s just me.